Baker's Game is the precursor to our favorite classic freecell game, and it actually inspired Freecell's creator to program the fun, popular game in the first place. Freecell overtook Baker's Game in popularity, but this difficult original is worth the playing time if you are a lover of all things Freecell! 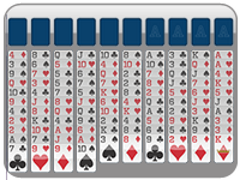 Baker's Game Freecell is set up exactly like classic freecell, using a full deck of 52 cards, 4 open cells and 4 foundations. 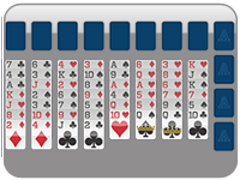 The cards are laid out in eight piles within the game. 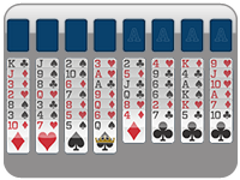 The major difference with Baker's Game Freecell is that you can only build each tableau down by suit (not alternating colors as in classic freecell). 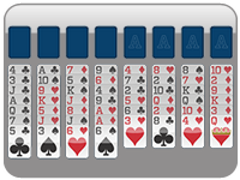 This complicates the freecell game greatly, and its solve rate is decreased to a 75% chance! 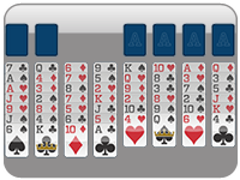 Win the freecell game by placing all cards into the foundations by suit, ace to king. Suits are the name of Baker's Game Freecell. Build tableaux down by suit, not color! Baker's Game Freecell is the original Freecell game. Beat it to be the true master. 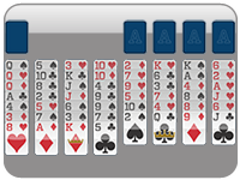 Play just as you would play classic freecell, using the four open cells to help you move cards around. 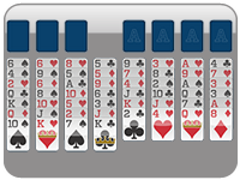 This freecell game is difficult with only a 75% solve rate.